The government of the United States of America has said that it would only engage the federal government in the repatriation of $500 million Abacha loot back to Nigerian in a discussion based on government-to-government level. The Unites States government has said it would only engage the federal government in the repatriation of $500 million Abacha loot to Nigerian in a discussion based on government-to-government level. 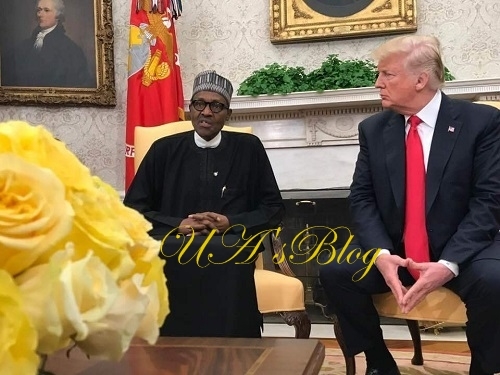 The Cable reports that a senior presidency sources said officials of the US Department of Justice (DOJ) told President Muhammadu Buhari during his visit to the country that they would not deal with any third party in the restitution of the funds. The attorney-general of the federation, Abubakar Malami, had attempted to engage the services of private lawyers to aide with the return of the fund to Nigeria. The lawyers were to take a cut of as legal fees even though they did not play any role in the recovery of the stolen funds traced to the former military head of state, Sani Abacha. The funds were to be returned to Nigeria on the condition that the federal government would sign a memorandum of understanding (MOU) to avoid the mismanagement associated with recoveries under Olusegun Obasanjo. Meanwhile, the minister of Finance, Kemi Adeosun and the governor of Central Bank of Nigeria (CBN), Godwin Emefiele, affirmed on Sunday, April 22, that the country’s positive growth outlook would be sustained. The minister and the CBN Governor gave this assurance at a joint press briefing at the end of the 2018 International Monetary Fund (IMF) and World Bank Spring Meeting in Washington DC, United States. Adeosun said the present growth outlook contrasted with the outlook in 2015, and that inflation rate was slowing down while the foreign reserves were rising.